An ENERGY STAR certified pool pump can run at different speeds and be programmed to match the pool operation with its appropriate pool pump speed. The energy saved is considerable; reducing pump speed by one-half allows the pump to use just one-eighth as much energy. In addition, ENERGY STAR certified pool pumps can use more efficient motors and advanced hydraulic designs. ENERGY STAR certified pool pumps include in-ground pool pumps, above-ground pool pumps and pressure cleaner booster pumps. Save you up to $2,000 over their lifetime. Pay for themselves in as little as 1 year. Run quieter and prolong the life of your pool's filtering system. Pool pumps originally qualified for the ENERGY STAR label on February 15, 2013. Please see the Pool Pump Fact Sheet (PDF, 244 KB) to learn more about when you need a pool pump, how to know if your pool pump was installed properly, and how to choose a pool pump contractor. Variable speed and multi-speed pool pumps can help cut energy costs, as well as offer other desired features. For example, variable speed pumps are quieter, require less maintenance and last longer. Both variable speed and multi-speed pumps, through slower water filtration rates, allow for better and more effective filtration of the pool water. The slower circulation rates also put less strain on the filters, plumbing, and other parts of the system, reducing the chance of leaks, repairs, or premature plumbing component replacement.1 In addition, ENERGY STAR certified pool pumps can use more efficient motors and advanced hydraulic designs. ENERGY STAR certified pool pumps include in-ground pool pumps, above-ground pool pumps and pressure cleaner booster pumps. Pool timers2 — Pool timers allow you to reduce filtration times. Running your pool filter only 6 hours a day versus 24 hours, will reduce your energy use by 75%. If debris is a problem, consider using a timer that can activate the pump for many short periods each day. Running the pump continuously for 6 hours leaves the other 18 hours a day for the pool to collect debris, whereas several short cycles can keep the pool clean all day. Robotic Pool Cleaners3 — Robotic pool cleaners are powered by low-voltage electricity, rather than your pool pump or a booster pump, and collect dirt and debris in built-in filters. The pool owner simply plugs them in and places them in the pool. Some even have remote controls so you can steer the unit from a lounge chair for spot cleaning. A PG&amp:E study determined that a robotic cleaner used only 197 kWh per year. According to the study, a cleaner powered by a filter pump used 1,675 kWh per year and a booster-pump-powered cleaner used 2,989 kWh per year. Pool Cover6 — Covering a pool when it is not in use can reduce your pool's heating costs, by as much as 50%–70%. Pool covers not only decrease pool heating costs, they also can minimize your chemical use by 35%–60%, conserve water by 30%–50%, and reduce cleaning time by keeping dirt and other debris out of the pool. When choosing a cover, look for durability, ease of taking on and off, price, warranty, material transparency, insulation value, storage need, and safety. Perform Regular Preventive Maintenance7 — Follow a regular program of preventive maintenance and backwash or clean the filter as recommended by the manufacturer to maintain maximum efficiency. Be aware that some filters automatically backwash more frequently than they need to, and some designs do not need to be backwashed at all. Check the manual for the right regimen for your system. Remove any foreign materials from the strainer baskets in the pump and skimmer regularly to make sure the flow of water is not hampered. Best Practices for Your Spa8 — Portable spas are more energy efficient than in-the-ground spas, because they are better insulated and usually have covers. If you have a typical portable spa, your heater will heat water 10 degrees in about 8 hours. If you use your spa once a week, lowering the temperature three degrees when not in use will save you approximately 5–10% of your spa heating costs. If you use the spa less often, your savings could be even greater. Do not run the jets unless you are using your spa. The mixture of water and air is great for relaxing the muscles, but it cools the water quickly. Spa covers are important. Be sure to leave the cover on until you are ready to use your spa and replace it when you are finished. Remember, you are paying to replace any escaped heat! 1 "Measure Guideline: Replacing Single-Speed Pool Pumps with Variable Speed Pumps for Energy Savings", A. Hunt and S. Easley, BARA, May 2012. 3 Pacific Gas and Electric Company, Residential Pool Program Application Assessment Report #0918. Laboratory Testing of Residential Pool Cleaners, San Ramon, CA March 2010. If you’ve got a pool, you definitely should have an ENERGY STAR certified pool pump. Otherwise you are losing out on big energy savings and other benefits. Did you know that your pool pump could be your home’s second largest energy user? Pool pumps that have earned the ENERGY STAR use up to 65% less energy and can save you up to $445 per year in energy bills, plus even more with a rebate. And, ENERGY STAR certified pool pumps are now available for above ground pools, too! Take the plunge with ENERGY STAR and start saving now and all summer long. CONTRACTORS: Are you a pool service contractor? Here’s helpful information for you! Pool Service Contractors: Build Your Business with ENERGY STAR! Looking to offer your clients a premium product that saves money, lasts longer, works better, and can expand your business? Is third-party certified to use 70 percent less energy and save your clients thousands of dollars in energy costs. Qualifies for generous incentives across the country to further sweeten the deal. Runs much quieter, cleans better, and lasts longer than conventional single speed pumps. Can help serve as a gateway to more high-tech, high-end offerings for your clients. Read what Tom Cucinotta of Cucinotta’s Pool Service (PDF, 572KB) has to say. His pool service business in Florida ONLY installs ENERGY STAR certified variable speed pool pumps. Learn how to market and sell ENERGY STAR certified pools pumps to pool owners by explaining how the technology works, showing them the savings, paybacks, and other benefits. In addition, gain insight into how ENERGY STAR certified pool pumps can help your business grow. Who sells ENERGY STAR certified pool pumps? Go to this comprehensive list of ENERGY STAR certified pool pumps. Looking for rebates on ENERGY STAR certified pool pumps? Enter your zip code into this database and find available rebates. Need to convince the pool owner? Learn practical tips (PDF, 572KB) on selling these pumps from Cucinotta’s pool service –installers of over 2,000 ENERGY STAR certified pool pumps in FL. Need to promote ENERGY STAR certified pool pumps digitally? Go to the ENERGY STAR Marketing Materials for Products page to find ENERGY STAR certified pool pumps digital media assets like promotion buttons/widgets, videos, infographics, and social media messaging. 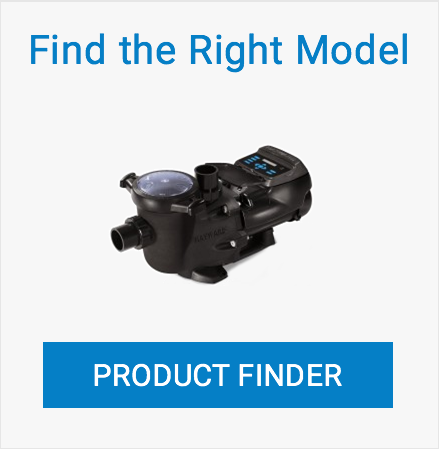 Looking for more info about your pool pump? Check out our fact sheet! Watch your pool swoon over savings with ENERGY STAR! If every pool pump in the U.S. were ENERGY STAR certified, families could save $770 million in energy costs every year and prevent greenhouse gas emissions equal to those of more than 1 million cars.